Anthony’s Coal-Fired Pizza is one of my favorite pizza places in Palm Beach County. There is a steady line out the door most evenings, which I think means people agree with me. 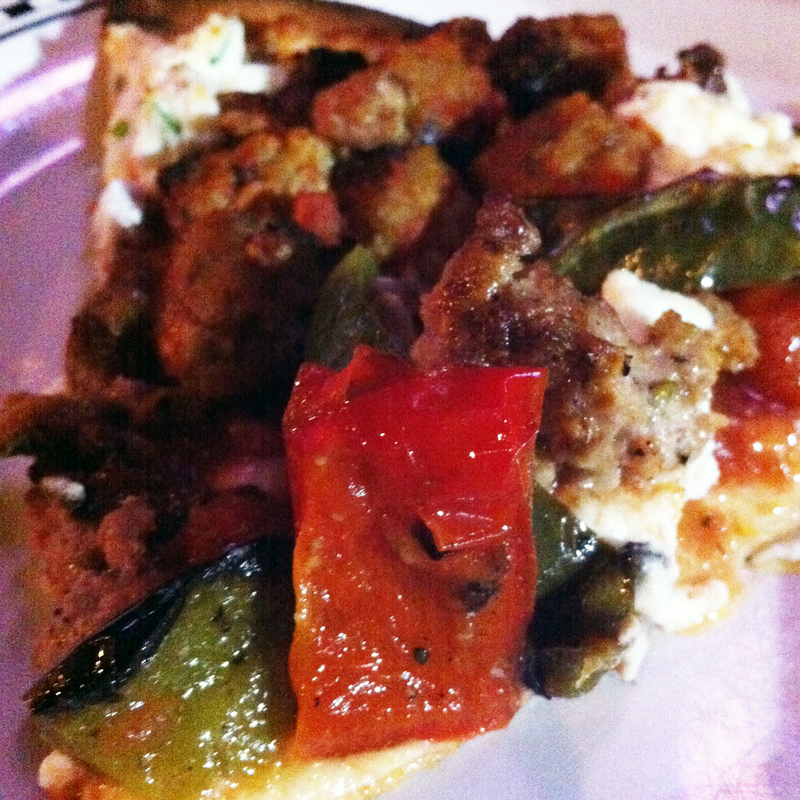 My favorite is the Paul & Young Ron Pizza, which has meatballs, sausage, ricotta and hot or sweet peppers. I always go with the sweet peppers. This thing is stacked with toppings and I love the coal fire crisp to their pizza. So yummy! The Cheese Pizza is also really good as well as their White Pizza with ricotta, mozzarella and romano cheeses. We usually start off with the Classic Italian Salad which is large and served family style with olives, hard boiled egg, onion, tomatoes, etc and an italian dressing or the Fresh Mozzarella and Tomato Salad. My mother and sister-in-law love the Eggplant Marino which is thin sliced with tomato sauce and romano. You can also get it made as a pizza. I’ve heard the Coal Oven Roasted Chicken Wings are great, but honestly never think to order them because I’m always too focused on the P&YR. The place is usually packed and they have a few tables outside. The bar typically has a steady crowd and there are high tops. They have a nice beer and wine selection. One thing I really like is their offering of local beers. They even teamed up with Funky Buddha to create the “Fuhgeddaboudit Red.” They have drink specials on Mondays and Tuesday and last time we were in there was a sign that now you can pick up a little pot of meatballs to go now, which is kinda cool.